euroPLX® (short for European Pharma License Exchange) is a Brainchild and Europe registered trademark of RauCon. As a specialist consultancy for providing and organising collaborative opportunities, RauCon caters to international pharma and biopharma business development and licensing executives, with organisational tools for the optimisation of the business development process, advice, and career support. Having organised partnering events in Europe, North America, and Australia since 1987, RauCon has pioneered the Pharma License Exchange concept in 1995, a novel business development platform for the pharmaceutical industry. 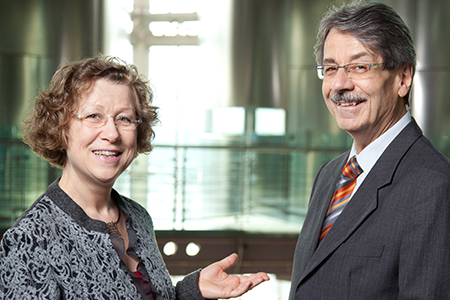 Since then each single euroPLX Partnering Conference was meticulously planned and prepared by Dr. Norbert Rau and Mrs. Anke Rau who have an up-to-date perspective on the industry since three decades. Their personal attention to detail and continuous innovation, and their focus on their customers' needs to achieve results have made euroPLX Partnering Conferences the recognised leader in partnering events with almost 17,000 facilitated partnering negotiations per year and an unmatched appointment-per-attendee ratio. Tele-marketers: Please note that as a strict policy we do not place any orders following a cold call.